The averaged Hausdorff distance Δ p is a performance indicator in multi-objective evolutionary optimization which simultaneously takes into account proximity to the true Pareto front and uniform spread of solutions. 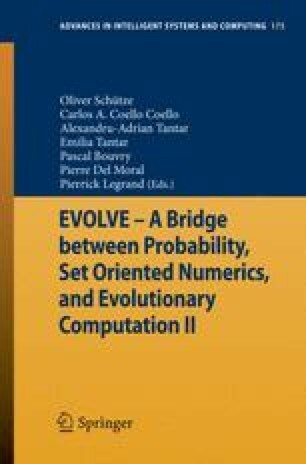 Recently, the multi-objective evolutionary algorithm Δ p -EMOA was introduced which successfully generates evenly spaced Pareto front approximations for bi-objective problems by integrating an external archiving strategy into the SMS-EMOA based on Δ p . In this work a conceptual generalization of the Δ p -EMOA for higher objective space dimensions is presented and experimentally compared to state-of-the art EMOA as well as specialized EMOA variants on three-dimensional optimization problems.